Nick grimshaw Photos, News, and Videos | Just Jared Jr.
Rita Ora shows off her outfit while attending the BBC Radio 1 Teen Awards on Sunday (October 22) in London, England. 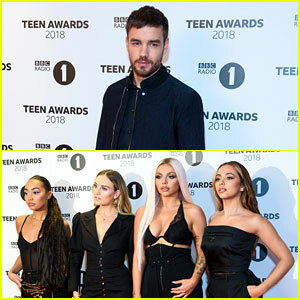 The singer, who is serving as a co-host for the show, was joined by Ella Eyre, Tallia Storm, Anne-Marie, Tilly Keeper, James Arthur, YouTuber Oli White, and her co-host Nick Grimshaw. 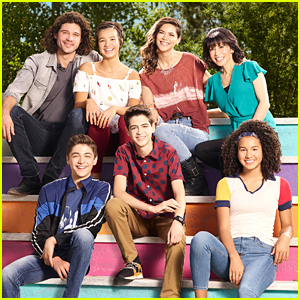 Rita took to the stage for a performance of “Anywhere” while James joined Camila Cabello for a duet of “Say You Won’t Let Go.” Check out their performance here! Nick and Rita brought on the laughs throughout the show… They helped The Vamps with some drumming and even dressed up in costumes, Nick in a bear onesie and Rita in a red coat. Justin Bieber, Meghan Trainor, & More Get in Bed Together for 'Famous' Video Spoof - Watch Now! Justin Bieber cozies up in bed in this hilarious new spoof on Kanye West‘s “Famous” music video! The 22-year-old “Sorry” singer stars alongside Nick Jonas, Troye Sivan, Meghan Trainor, Carly Rae Jepsen, Craig David, Cheryl Fernandez-Versini, and 5 Seconds of Summer for the BBC Radio 1 recreation by DJ Nick Grimshaw. In case you didn’t know, Kanye‘s controversial video features celeb wax figures in bed together, including Taylor Swift. Brooklyn Beckham gives a smoldering stare while attending the Burberry Autumn/Winter 2016 Men’s Collection show on Monday (January 11) in London, England. The 16-year-old model wasn’t the only person in attendance at the show! 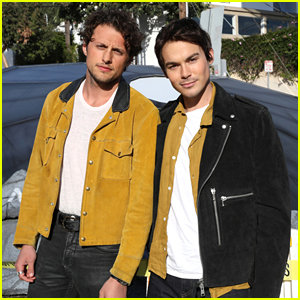 Rafferty Law, Jourdan Dunn, Johannes Huebl, David Gandy as well as young musician Gabriel-Kane Day-Lewis, Mark Ronson with Josephine de La Baume, rocker Dougie Poynter, radio and TV personality Nick Grimshaw, and director Steve McQueen were all seen arriving for the show. “RIP to a legend” Brooklyn wrote on his Instagram account that day after hearing news that David Bowie passed. Suki Waterhouse Joins The Men at Burberry Fashion Show 2016! Suki Waterhouse keeps it cute and sophisticated while attending the 2016 Burberry Prorsum Menswear Spring/Summer Fashion Show held at the Kensington Gardens on Monday (June 15) in London, England. The 23-year-old model and actress was joined by Chiwetel Ejiofor, Sam Claflin, Samuel L. Jackson, Nick Grimshaw, David Gandy, John Boyega, Lewis Hamilton and Clara Paget. Suki took to her Instagram to share a pic of herself with John and Chiwetel sitting front row at the show – Check it out below! 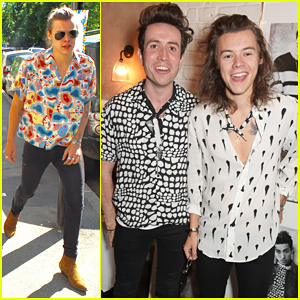 Harry Styles Helps BFF Nick Grimshaw Celebrate at Topman Collection Launch! Harry Styles is handsome while posing for photograph at a private dinner celebrating The Launch of Nick Grimshaw for Topman Collection held at Odette’s Primrose Hill on Thursday (June 4) London, England. That same day, the 21-year-old One Direction singer and his bestie Nick, 30, were spotted rocking similar button up shirts as they went for a stroll around town. Also pictured: Harry‘s 1D bandmate Louis Tomlinson arriving at LAX Airport to catch his flight to Cardiff in Los Angeles.